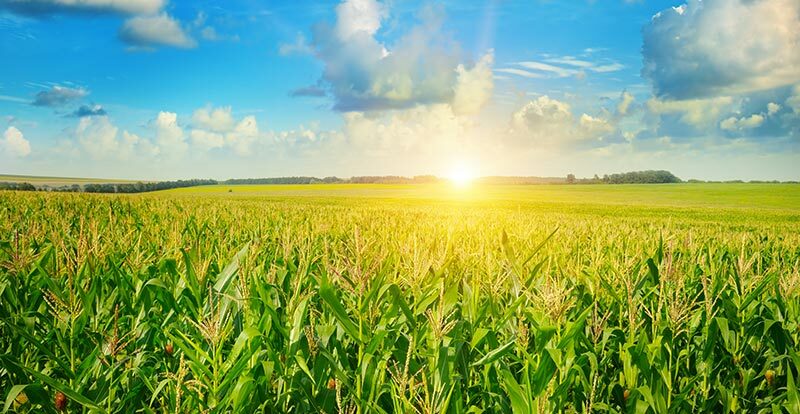 There was a time in agricultural history when those people doing the farming had no clue what minerals and nutrients even were, at least not in a scientific sense, let alone what utilizing those nutrients might mean for improving a growing season’s yield. Obviously, farming today is a lot more complicated as the best minds in Ag continue to come up with new and exciting ways to maximize yield simply by being more aware of the nutrients in the soil. In helping to manage residue as a means of breaking down microbes better, the 360 CHAINROLL is an excellent tool for better managing nutrients. The CHAINROLL chops and crimps corn stalks, which actually helps make that residue available to improve the soil’s health and better provide the necessary nutrients. The way it’s designed, the sections are connected in a way that keeps residue clusters from clumping, thereby minimizing the nitrogen availability that helps get a seedbed ready for planting. The wings on the 360 BULLET lift and fracture the complete soil profile, which gives planters improved access to soil nutrients. We always describe it as a “mini earthquake” that completely loosens the full soil profile so your crops’ roots can grow and spread and access all the various nutrients they need to grow to their best potential. While plenty of farmers use coulter sidedress bars to apply nutrients to their fields, this specific sidedress improves nitrogen efficiency by placing the liquid nitrogen right at the base of the corn plant and directly above the root mass. Rain or heavy dew then pushes that nitrogen into the soil, making it a more efficient system for maximizing nutrients. One of the most useful precision farming tools is 360 SOILSCAN, which gives farm owners real-time nitrate readings throughout the entire season. That means you can deliver nutrients to areas of need only when they need it, instead of wasting money on widespread applications at uncertain intervals. The results come out in just five minutes, and the system is portable, making it ideal for keeping a close eye on your nutrient management. If you have any questions about any of these precision farming accessories, just give us a call or stop in here at Bottom Line Solutions any time. Fertile soil can be a complicated thing, but using the right tools can help you make the most of the ground you’ve got. Hopefully we can help make that maximization possible for you and your land this coming planting season. Get the latest from Bottom Line Solutions. Join our mailing list to receive the latest news and software updates from our team.